Probiotics have long been hailed as a way to help ease certain chronic stomach ailments and to help you fight the flu and colds. Probiotics are natural and can be found along your small intestinal tract and in common foods that you eat including yogurt and certain juices. So probiotics are a naturally occurring bacteria found in your body that when you consume more help the bacteria in your body to prevent colon cancer, lower LDL (bad) cholesterol, boost immune system, reduce symptoms associated with irritable bowel syndrome and lactose intolerance, and help to prevent urinary tract infections and yeast infections. 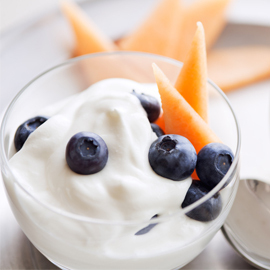 While eating yogurt can pack some great health benefits new research is suggesting that it can also help with weight loss. Here in Beverly Hills and Bakersfield every little way to keep weight off is generally welcomed with open arms. Probiotics are not some magical weight loss trick that will allow you to eat as many calories as you want each day and stop exercising, they are simply a good addition to your diet to help maintain a healthy weight and healthy lifestyle. Probiotics may affect the way calories are digested and used within your body, including turning some of those calories into fat. So pick up a yogurt today or stop by your favorite Japanese restaurant for some miso soup, another good source of probiotics, and you just might find yourself a couple pounds lighter.